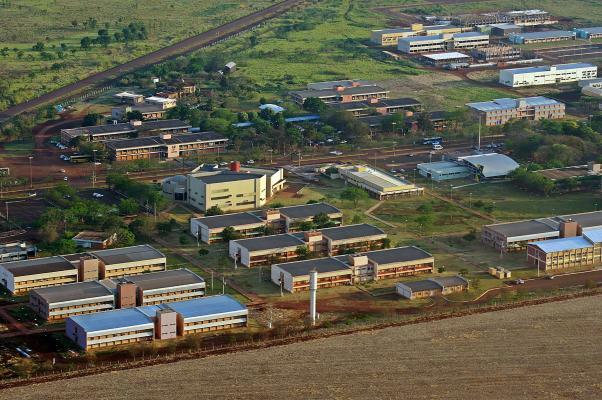 The Federal University of Grande Dourados (UFGD) was created on July 29th 2005 through Law # 11.153, from the emancipation of the campus of Dourados which was previously part of the Federal University of Mato Grosso do Sul (UFMS). Since then, the University has been constantly transforming and improving itself. It has become part of the public policies from the federal government for the expansion of the public higher education system, such as REUNI – Restructuring and Expansion Plan for Federal Universities. The Federal University of Grande Dourados (UFGD) is located in the city of Dourados, State of Mato Grosso do Sul. It has been ranked, year after year, as the Best University in the state, according to INEP-MEC. In addition to this, UFGD has also been ranked as the top three university of the Central-West region of Brazil. The mission of UFGD is to generate, construct, systematize, innovate and socialize knowledges and values through excellent class education, research and community outreach activities, thus developing professionals and citizens who are able to transform society towards promoting sustainable development with democracy and social justice. The vision of UFGD is to be a nationally and internationally acknowledged institution by its excellence in the production of knowledge and by its humanist and democratic philosophy.